So we all know that oil is not the healthiest of ingredients, but good olive oil is delicious, and chilli oil is even better. 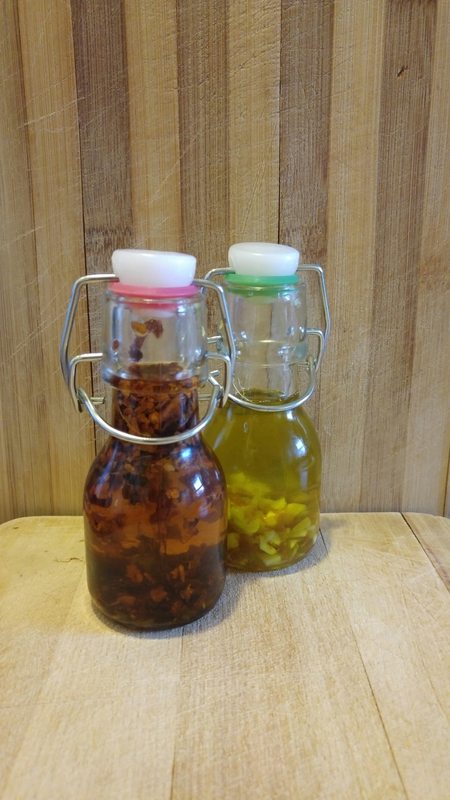 A little while ago, I made my own garlic oil, so thought I’d give chilli a bash. Awhile ago, I bought a few cute glass spice pots and mini bottles in Tiger in Spitalfields Market and one of the mini bottles has been sitting empty ever since, so it was time to put it to use. Firstly, heat up a pan. I used a small stainless steel saucepan, because it’s harder to see the ingredients in a black frying pan. When your pan is hot, throw in your oil and turn down the heat. You want to heat the ingredients in the oil, not fry them. Add your ingredients (either chilli or crushed garlic, depending on which oil you want to make) and stir. At this point, I took the pan off the hob as it was already pretty hot and the residual heat was enough to get the flavour of the chilli into the oil. Let sit until it cools, stirring occasionally to ensure nothing sticks to the pan. Store out of direct sunlight. The longer you let it sit in the cupboard, the more the flavour will develop. 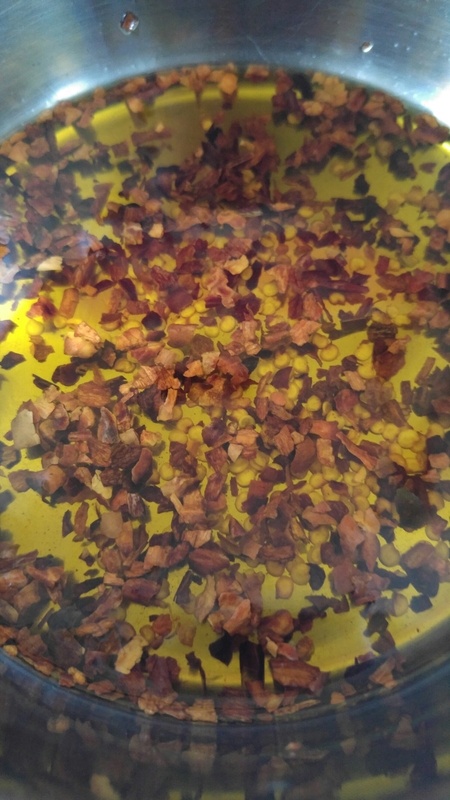 I used dried chilli flakes for mine, and still got a pretty good flavour, but I would imagine that fresh chillies will give you that little bit more heat – just be even more careful ensuring they don’t start to fry. 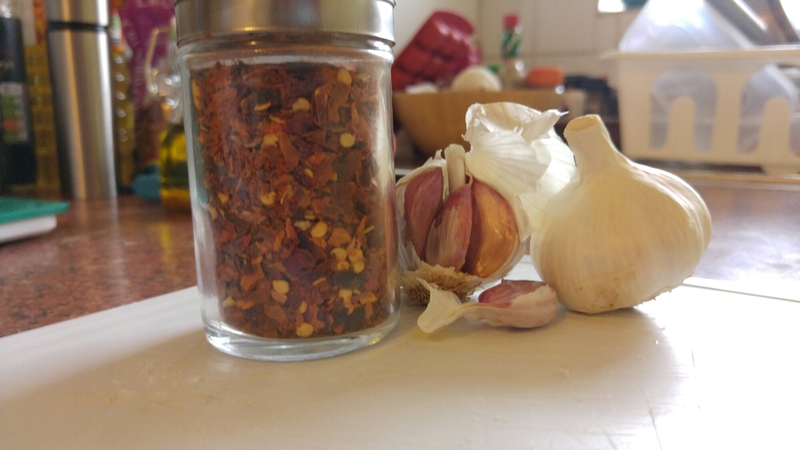 For the garlic oil, I used freshly crushed garlic. It’s gone browner over time, but it smells and tastes delicious. All in all, this took me about 10 minutes to make, and I can’t wait to try it out. I plan to drizzle it lightly over some pizza or use it to cook some tofu!